I’ve not posted over the Christmas period, but that’s not because I haven’t been baking! Only because I’ve not baked any new recipes. What I have learnt is that when time is of the essence, never bake something you are not already familiar with! In the past week, I’ve baked a lot of shortbread, made trays of truffles and bags of candied almonds. 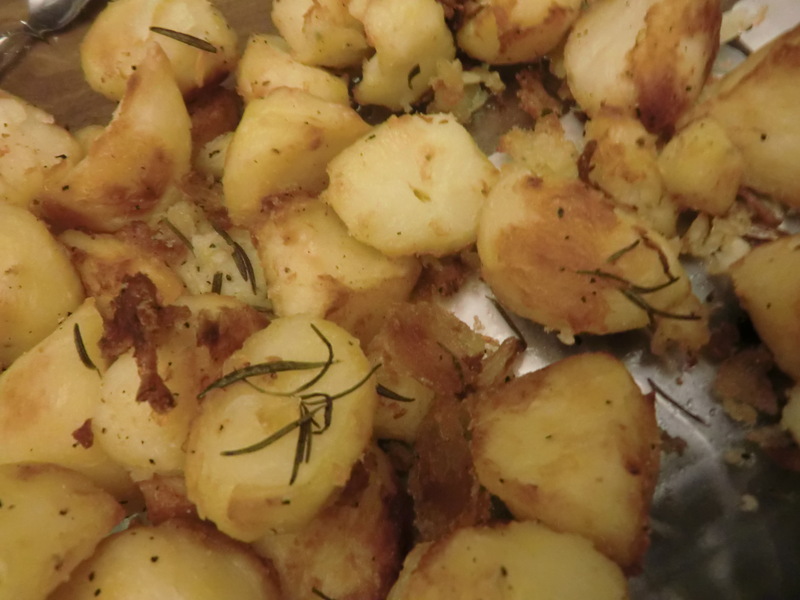 I also baked 2 kilos of roast potatoes and dinner rolls for the family Christmas dinner. Although I say that I don’t like to try new recipes when I’m under time pressure, I did try a new technique with these dinner rolls. I’ve been toying with the idea of not kneading the dough for the usual 8-10 minutes before the first proofing. Dan Leopard advocated this method a lot and I did try it once but it went badly wrong. 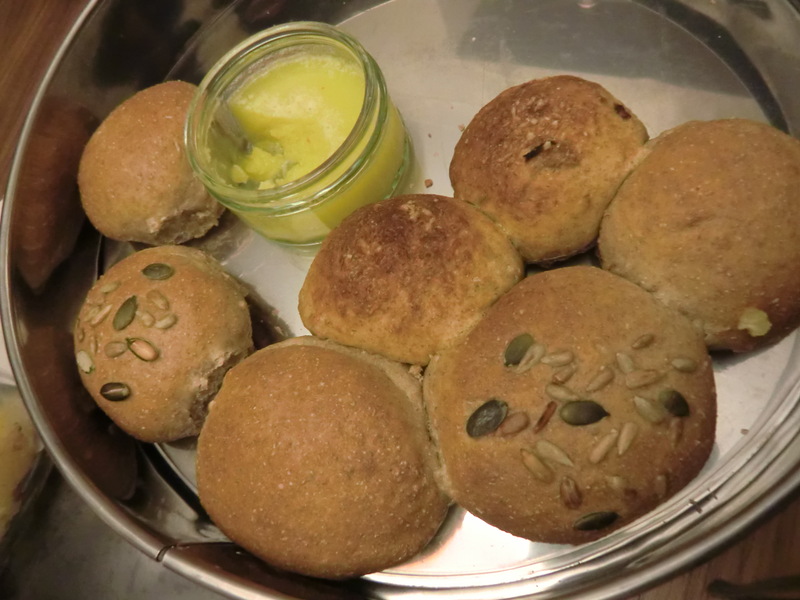 However I’ve had a bit more bread making practice since then so I have more confidence working with yeast. So for these dinner rolls, I kneaded them until the dough had come together then proofed it a few times kneading a little in between. The bread turned out pretty well and exactly how bread should! Score! I don’t think I have much time to back again until the new year now. 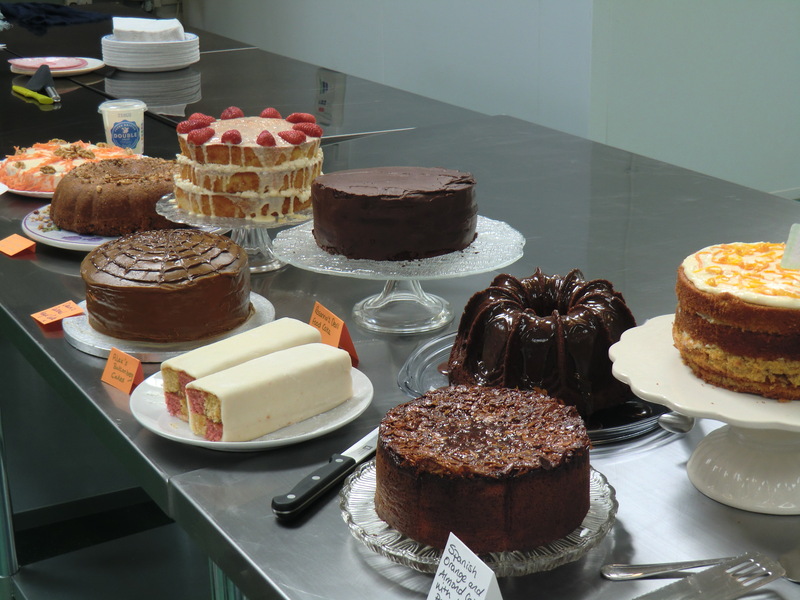 Looking back at when I started this blog at the beginning of October 2013, I’m fairly happy with the results so far… This blog has helped to keep me on track with my baking and encouraged me to try out new recipes. I’ve also discovered lots of new recipes from fellow bloggers and been inspired by their words. Onwards and upwards in 2014! This celebration cake was baked in honour of a friend and colleague who is moving on to a new challenging role with another equally deserving charity. We had planned a surprise party for her in the office and as always a centre piece cake would be there. We have another colleague who is always asked to make the special celebration cakes as she is wonderful at sugar craft and can model the most amazing figures, making the most jaw dropping cakes that are tailored to the lucky person it is intended for. Unfortunately she wasn’t able to help out this time so I was asked to make the cake instead. What a daunting task! I like to bake but only as a hobby and I’ve found baking under pressure to be so stressful! After a lot of too-ing and fro-ing I settled on a basic chocolate fudge cake recipe that I had scribbled down off a friend’s mum. 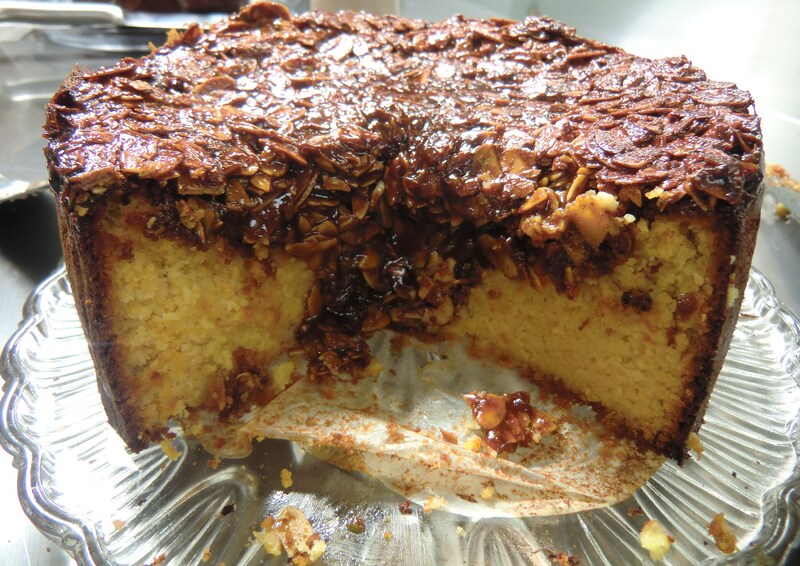 She had made their wedding cake using this recipe and it was absolutely delicious! I remember going back for a second slice because it was the tastiest wedding cake I had ever had and it was home made! The original recipe uses fresh cream and black cherry jam for the filling, so being a ‘black forest’ cake fan it was obviously going to be a winner for me! You can’t get much simpler than that right! As I am going through a stage of experimentation with salted caramel, I decided that this grown-ups party would be the right time to use salted caramel to the max! So I found a few salted caramel butter cream recipes and settled on this Banana Cake with Salted Caramel recipe for inspiration. Mainly because the cake in the picture looked similar to what I wanted to achieve so I figured that I could stick to the proportions of ingredients and have enough to frost the whole cake. It is also a fairly easy recipe to follow. After watching the sugar syrup boil for ages, I figured that the recipe could be adapted a little to have less water so this stage need not take so long, but would this then affect the quantity of caramel? I decided that this is something to experiment with another time… As I only had unsalted butter, I added a teaspoon of sea salt to the caramel along with the cream to give it the signature taste. I struggled a little with this recipe as it tells you to ‘Beat the cooled caramel cream using an electric beater until fluffy’, warning that ‘his step takes a while, so be patient’. So I kept the mixer beating the caramel and nothing happened… 15 minutes later I gave up and just started adding the butter. The frosting was actually very runny so I decided to add another half block of butter to the bowl and some icing sugar too the thicken it up and it seemed to work. I also put the frosting into the fridge to harden a little as it was still fairly runny. This frosting is ideal for people who like buttercream but find it a little too sweet. The caramel flavour is very strong and is a great choice for grown-ups. 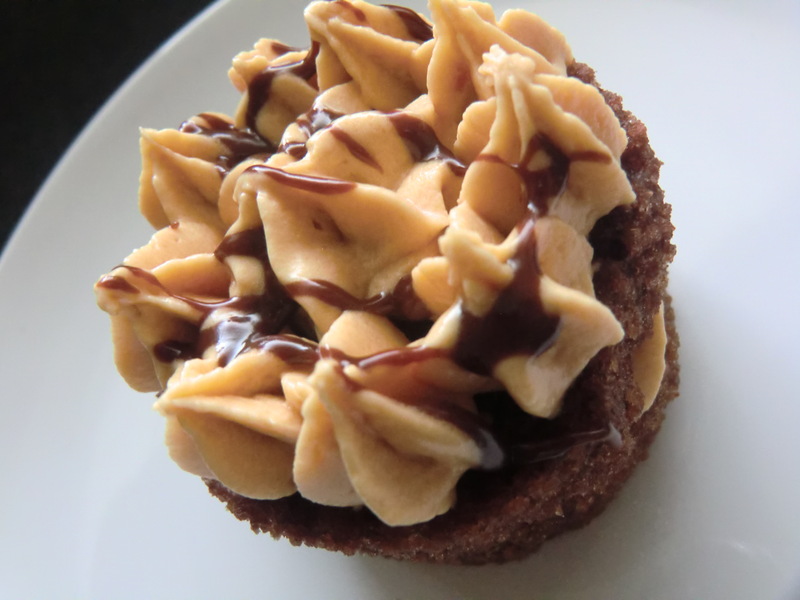 I also like the natural caramel colour of the frosting as a lot of buttercream recipes require artificial colourings to make them a look nice, so all in all this recipe is another keeper! 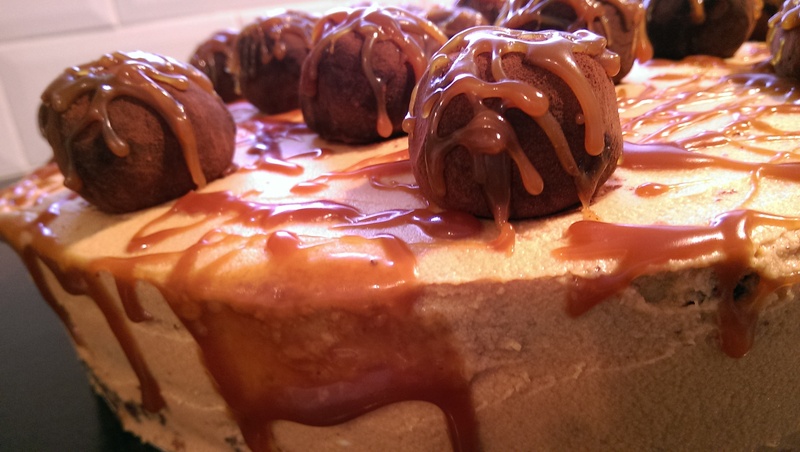 Looking on the world wide web for inspiration on how to decorate this cake I decided to make some Salted Caramel Truffles to go on top. For a previous cake I had made profiteroles but I wasn’t too happy with the finishing look, and making these profiteroles was only going to add to my stress levels! 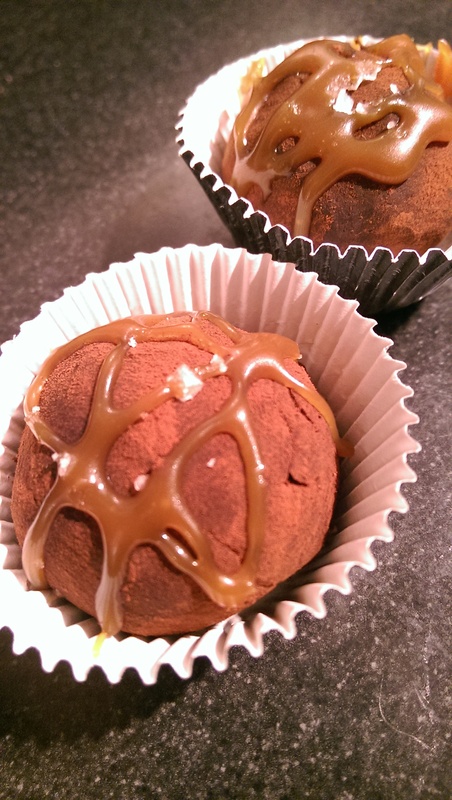 The Salted Caramel Truffles were ideal as I could also use the recipe for making Christmas food gifts if they turned out OK. So after frosting the layers of the cake and decorating the top with truffles and drizzles of left over caramel sauce, the cake was complete! I am slightly disappointed that you can see some of the cake crumb in the frosting, I must have over-baked it so must keep an eye on this next time. As I’m not very good at being precise and ‘pretty’ isn’t really my style, I went for the ‘messy look’. I think I got away with it! I’m pretty happy with the final product. I got lots of compliments and people even took extra slices home, always a good sign! From the little that was left of the cake, I could tell it was well appreciated! I’ve finally been able to get the cake to slice evenly thanks to a new kitchen gadget I picked up from a local shop but similar to this Amazon product. It only cost me £3 and gives such a perfect professional finish! The cake itself was moist and light, while the frosting wasn’t too sweet. I even had some left over truffles to enjoy too! 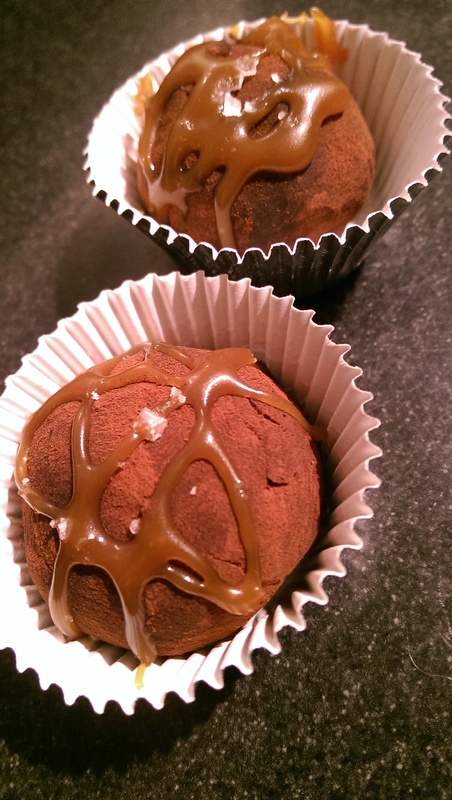 After rolling the truffles in some cocoa powder I drizzled them with some left over salted caramel sauce and then sprinkled a little sea salt flakes on top to give the idea of what flavour is inside. A bit messy, but not bad for a first attempt! I had to put these truffles into mini cupcake cases as they were twice the size of my petite four cases, so that gives you an indication of how huge they are! However my excuse is that I need them to go on top of a pretty huge cake so little ones would just not do. Obviously one had to be tasted for quality control (and to make sure they didn’t ruin the final cake!) and I have to say that they are delicious! 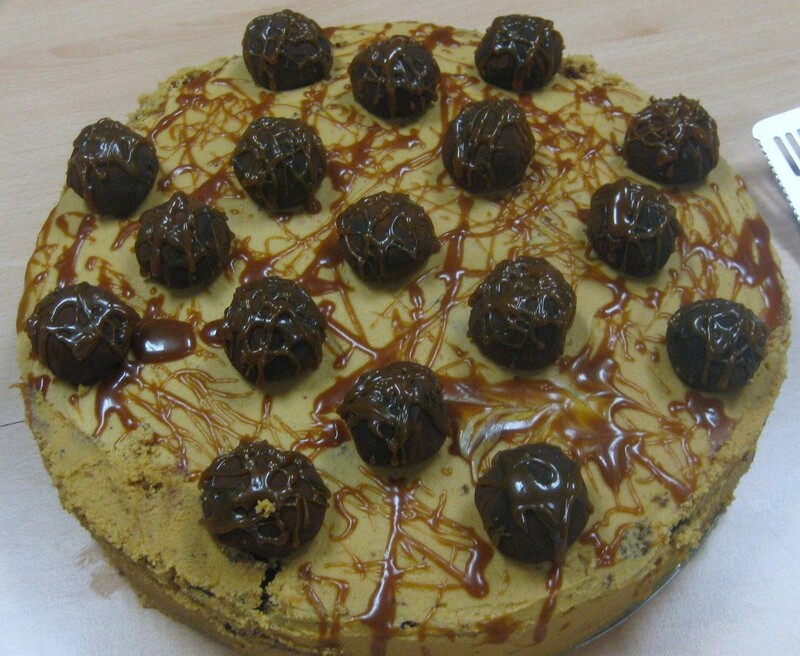 The caramel gives the truffle a slightly chewy texture so it isn’t just pure rich chocolate that melts in your mouth. The salted caramel taste comes through but only very lightly. 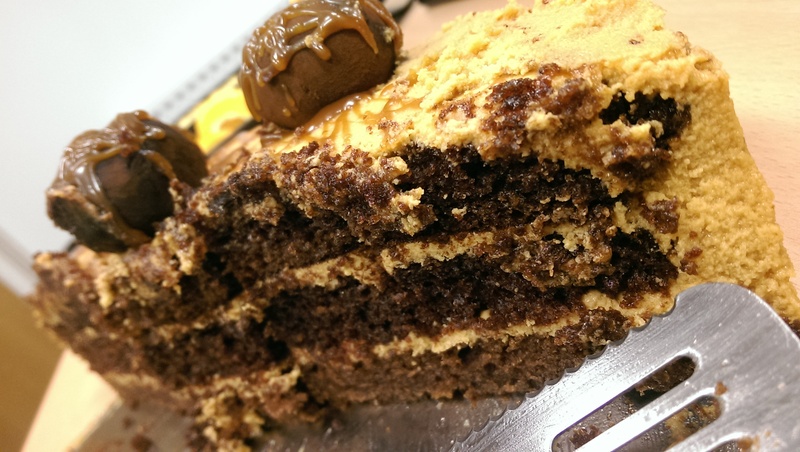 It helps to cut through the bitter chocolate making them very moreish… This recipe is a keeper! 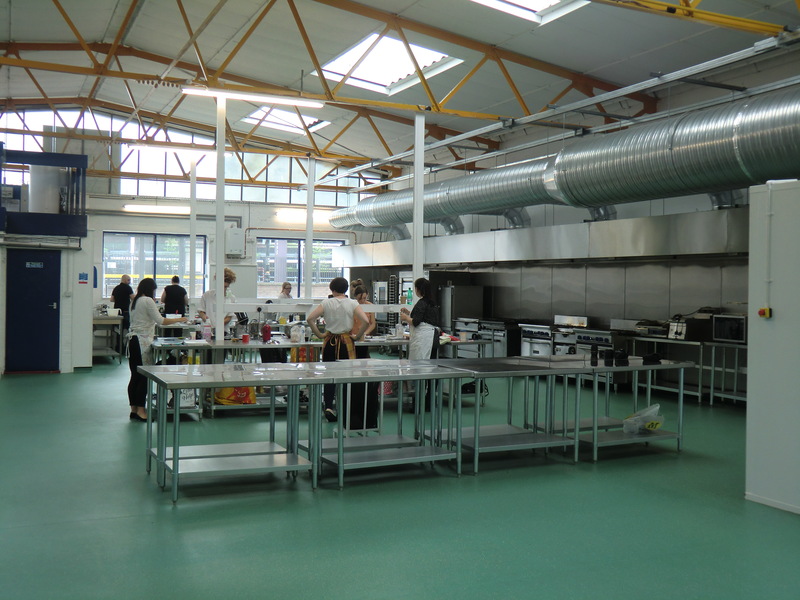 Home baking has recently seen a revival. 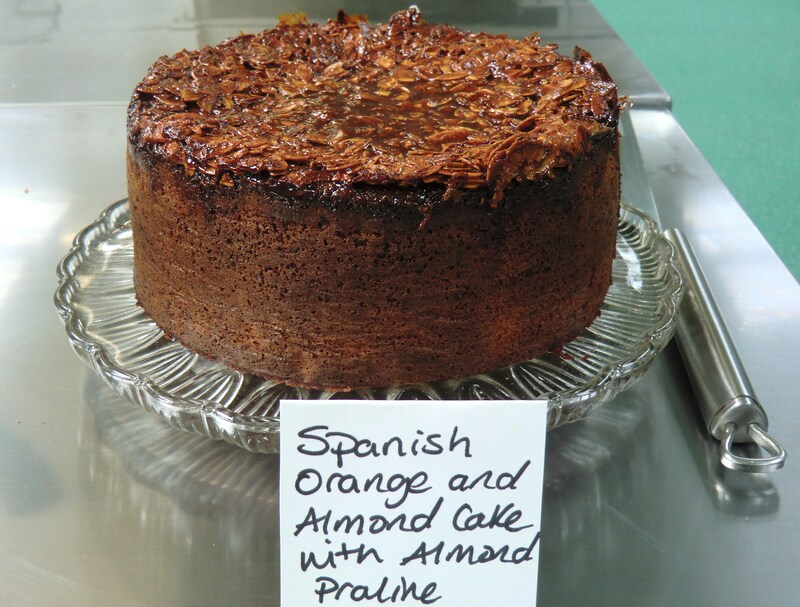 My friends, colleagues and family know all about my cake obsession, and I have held many an afternoon tea or baked an experimental cake to share in the office the next day. I had to stop when people complained that they were putting on weight from eating all my cakes! I bake less these days but still enjoy dabbling once in a while. ‘Afternoon tea’ is quintessentially British but now fashionable the world over. I recently had an ‘Asian Afternoon’ tea where finger sandwiches were replaced by a variety of sushi. A perfect example of Asian fusion cuisine! An earlier experiment with banana gyoza resulted in having left over coconut caramel that was a little sickly sweet so, I wanted to try it with a little sea salt to take the edge off the sweetness. 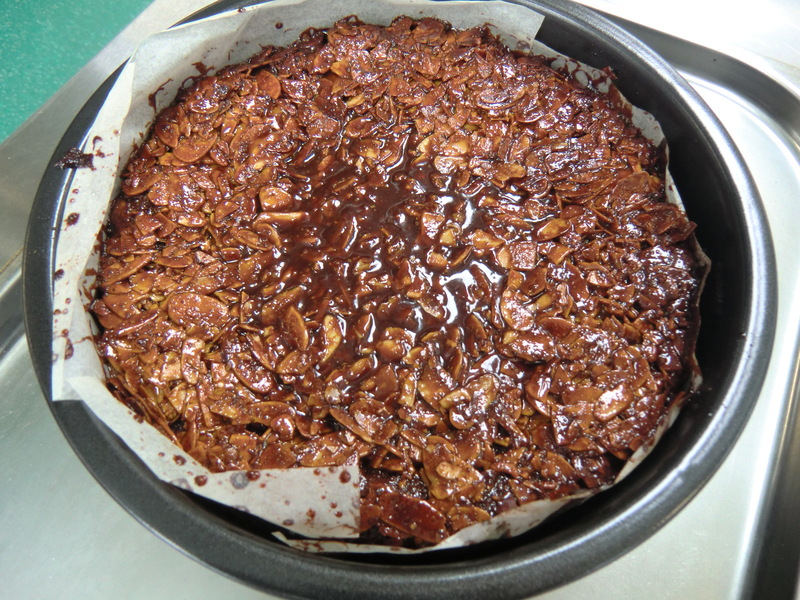 A quick on-line search of ‘coconut caramel’ and the first recipe that came up was this one! Coconut caramel slice. I’ve adapted this recipe slightly by using the coconut caramel (with a couple of pinches of sea salt flakes added) and adding a drizzle of dark chocolate on top to introduce a contrast in tastes. I’ve also increased the amount of dessicated coconut in the top layer to 200 grams and added another egg. I found that the amount in the recipe was not enough to fully cover the ‘cake’, and I also wanted to use up what was left of packet before I started on another baking adventure ‘just to use up left overs’! Looking at the recipe, I realised it was very similar to a coconut macaroon recipe I used when baking a gluten free treat to take to a friend’s house as a treat. 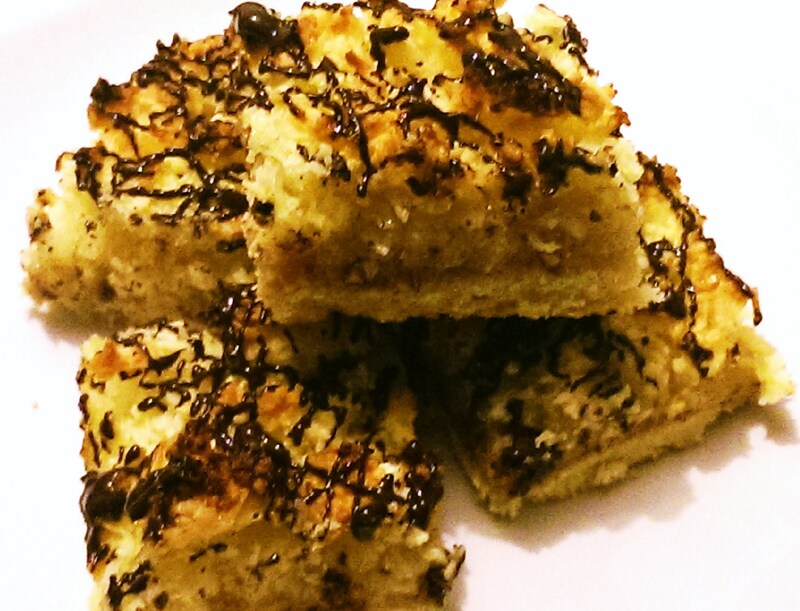 This Coconut Slice recipe is a very simple recipe, similar to an Almond Slice. 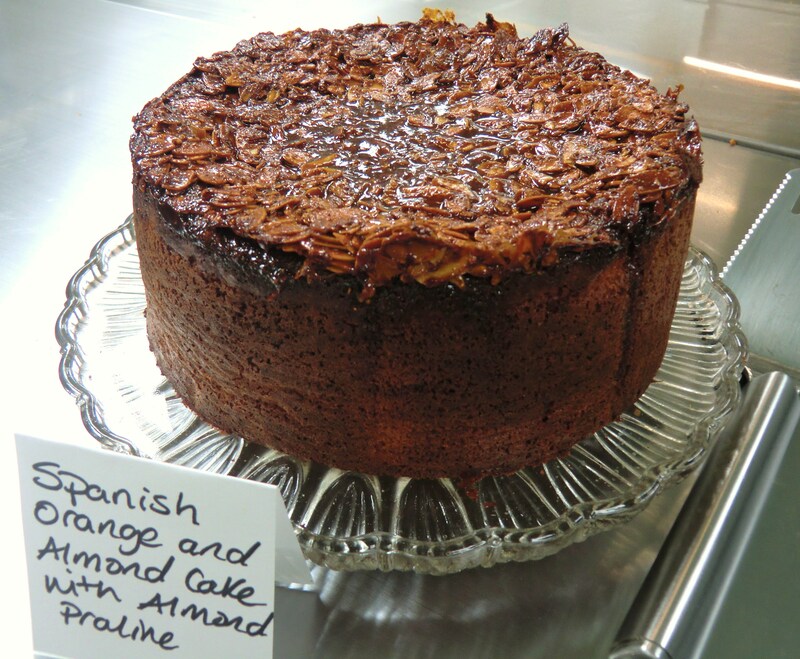 Except the ground almond is swapped for dessicated coconut and raspberry jam in the place of caramel. I made Almond Slices a few months ago and they turned out amazingly well for my first attempt. I really like tray bakes. They are simple to make and these layered recipes are always very pretty, looking like you have put more effort in than you really have! At work we regularly hold bake sales to raise money for the charity I work for. I usually make cupcakes which go down well but I steer clear of eating them as I find the buttercream far too sweet. I think these Coconut caramel and Almond slices will be on the menu for the next bake sale. This way I can enjoy a little treat in the afternoon too!